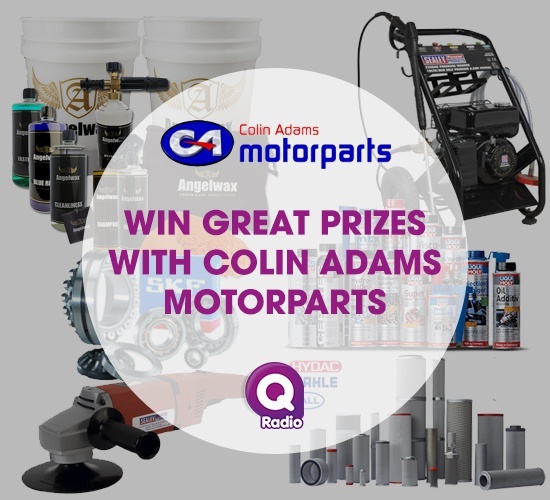 This week on the Home Run with Ryan A we've teamed up with Colin Adams Motorparts to give away some fantastic prizes. Colin Adams Motorparts offer a wide range of car care products and have all the summer car essentials you need! The family-owned business, started by Colin and Michele Adams, first opened its doors in 1998 at Mark Street, Newtownards, with only a staff of 3 and 1 delivery van. Now with over 25 years experience in the motor trade and staff that has a wealth of knowledge and experience in car parts, Colin Adams Motorparts provide the best customer service available. They have branches located at 51a Mark Street, Newtownards and 441a Beersbridge Road, Belfast. Find out their opening hours and more information here. Listen to the Home Run with Ryan A each weekday from 4-7pm.